Once the leaves are pretty much off the trees, it’s time to clean those gutters. When your gutters back up, they overflow, and when they overflow, that water runs down your home, speeding up the deterioration of your exterior. Make sure the soil around your foundation hasn’t settled, creating areas for water to pool at your foundation. Make sure water is getting moved away from the home. Add downspout extenders if necessary. Saturated soil around a foundation can create real problems as it freezes and thaws throughout the winter months. 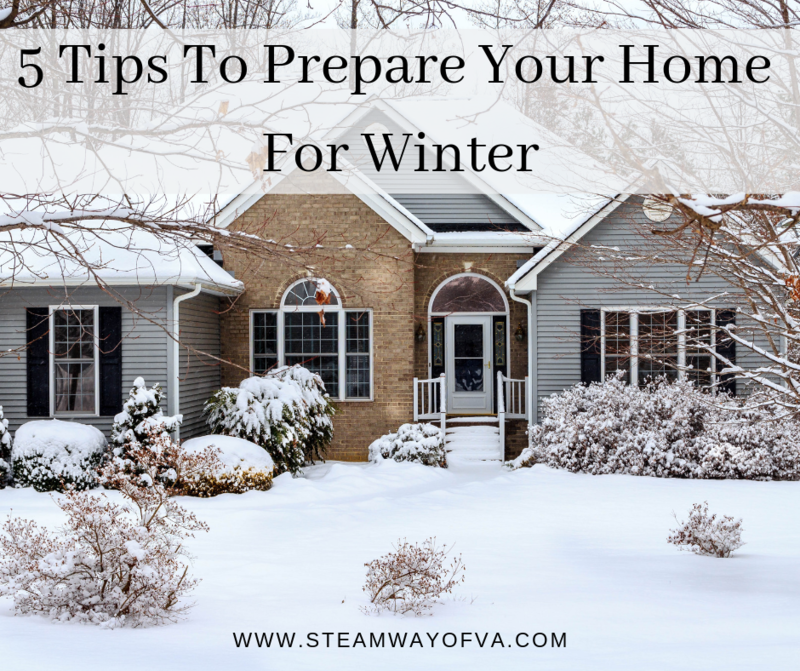 Make sure all unprotected spigots outside are prepared for freezing weather. Protecting outdoor spigots will help prevent freezing, which could cause flooding. 4. Replace air filters in your home. Replace your air filters in your home. When the heat is running in the colder months, having a clean filter will put less strain on your HVAC system. It will also help filter out allergens that may be in the air. Make sure your chimney is cleaned before starting up your wood stove or fireplace. This will help prevent chimney fires. Steam Way is a great resource for cleaning furniture and rugs. I have used them for years... on stop shopping! I was thoroughly pleased with the service I received. they were efficient and effective, and I would highly recommend Steam Way to all my firends. Steam Way was originally recommended to me by a co-worker, and I, in turn, would highly recommend them to friends and family. The staff is very friendly and the service was wonderful. I most especially appreciate Steam Way's follow-up telephone call after the work has been completed. My husband and I have used Steam Way of Central Virginia for many years and have always been pleased with the work Tom Rogers and his crew have done. They are always professional and trust worthy.